Picture of the terrace at Shah Rukh Khan’s house in Bandra (Mannat). 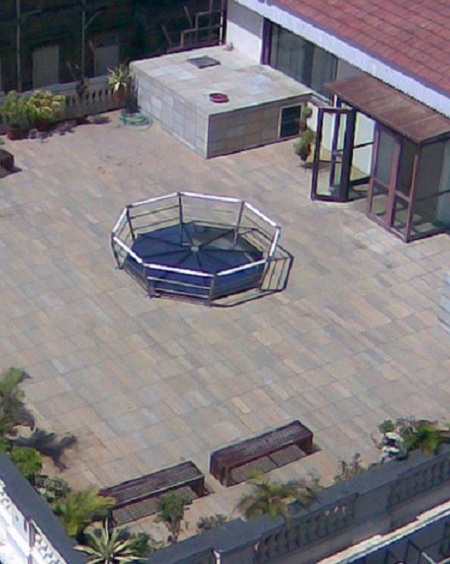 Shahrukh Khan’s Living room (drawing room) is just below the skylight in the middle of the terrace. This skylight is the only source of natural sunlight in Shahrukh Khan’s living room. Please visit this page for more Photos of Shah Rukh Khan’s House, “Mannat”.